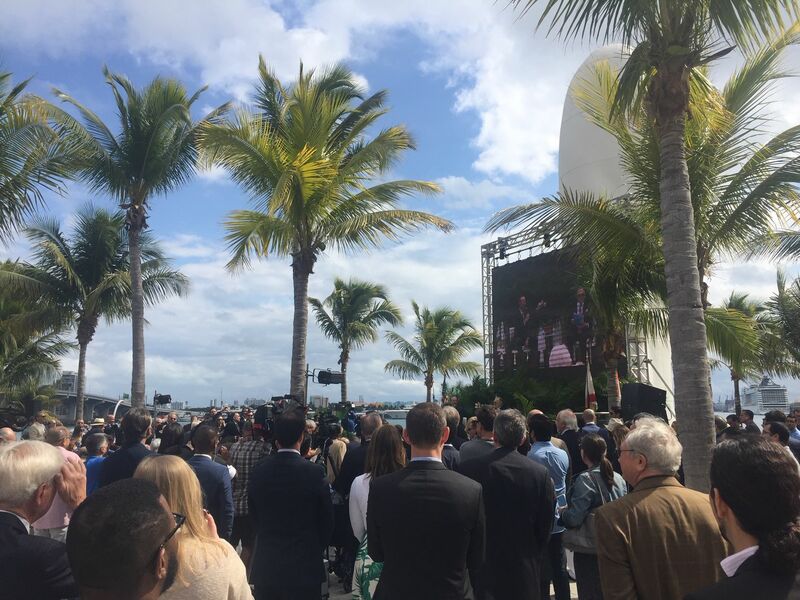 The City of Miami celebrated the completion and renaming of Museum Park to honor Maurice A. Ferré, the nation’s first Puerto Rico-born mayor, who spearheaded the purchase of Bayfront property to preserve green space in Miami’s urban core. 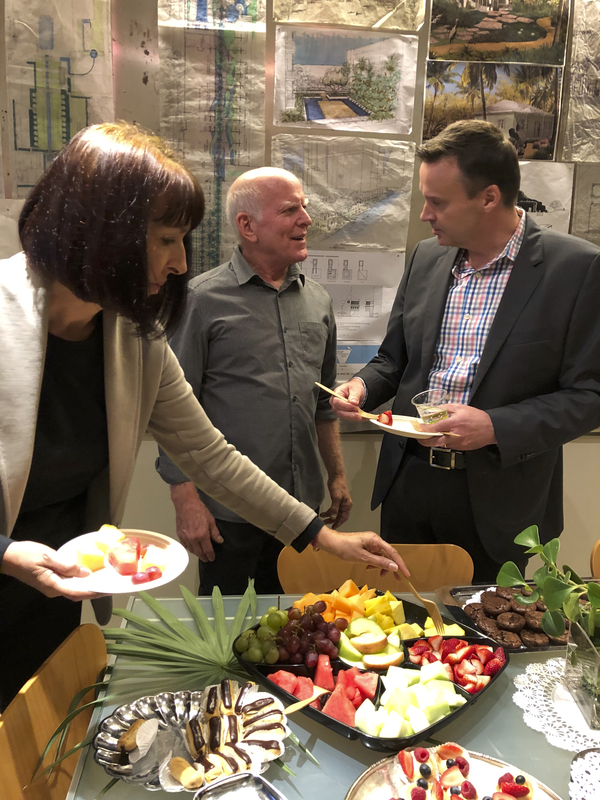 We want to extend our gratitude to our friends, family, clients, colleagues, new and old, who came from near and far to celebrate 25 years with us. Until the next one! 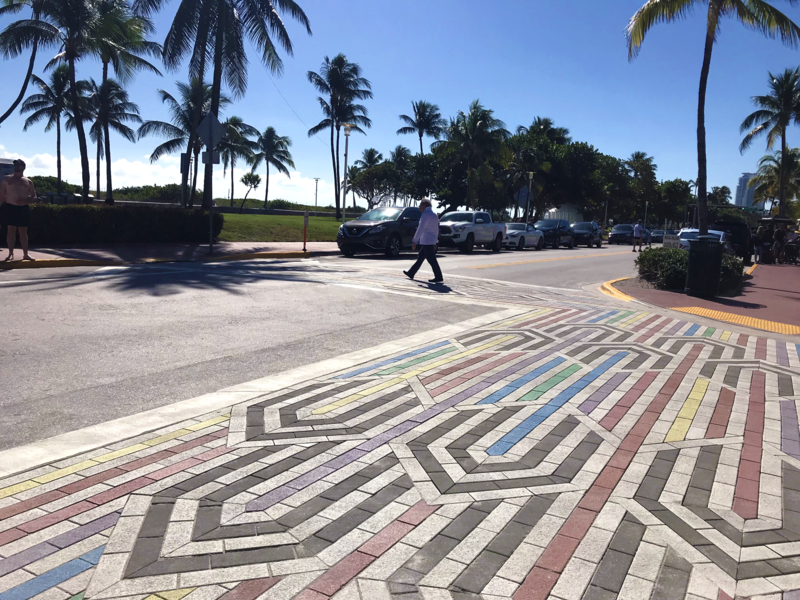 Our LGBT Crosswalk on Ocean Drive in Miami Beach is complete! 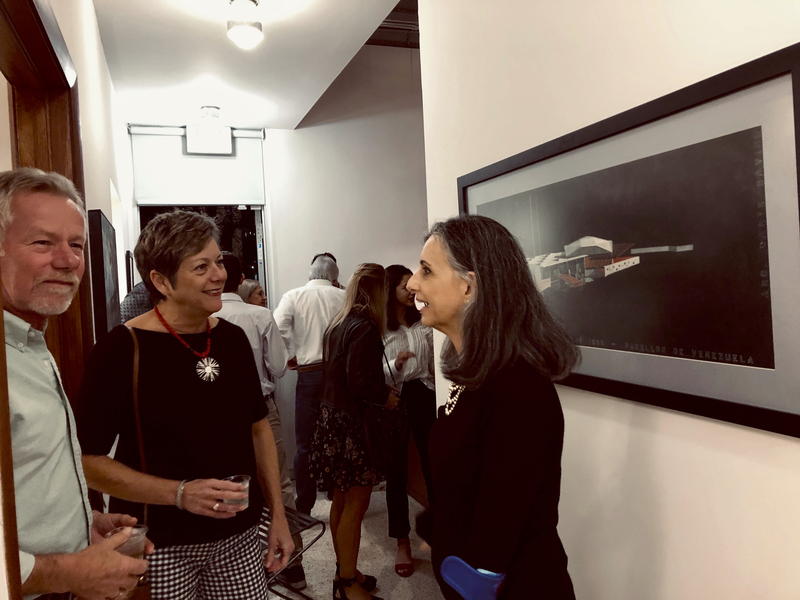 The Art Deco-inspired design honors the the contributions of Leonard Horowitz to the Art Deco District and his legacy with the Miami Design Preservation League. 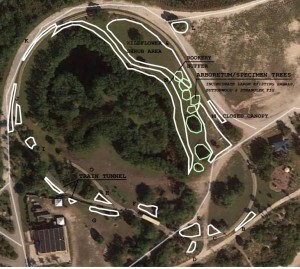 Sunrise Park is getting a makeover! 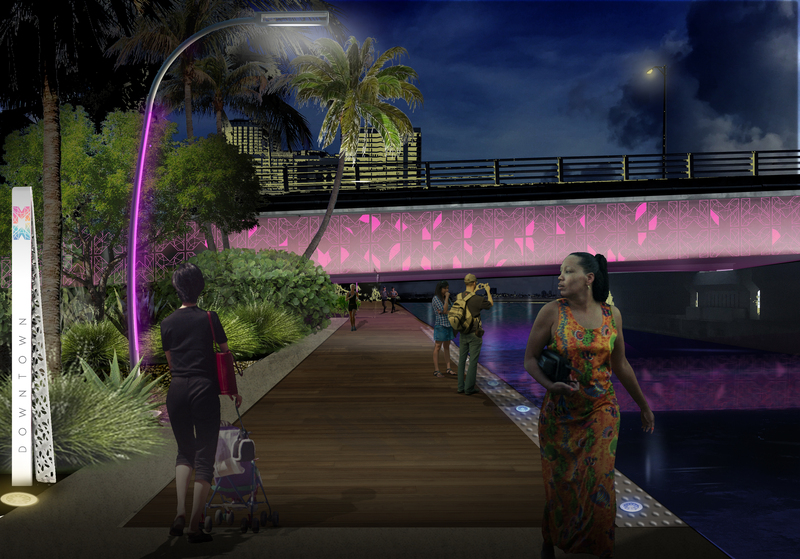 Very excited to be working on this project with the City of Hallandale Beach. 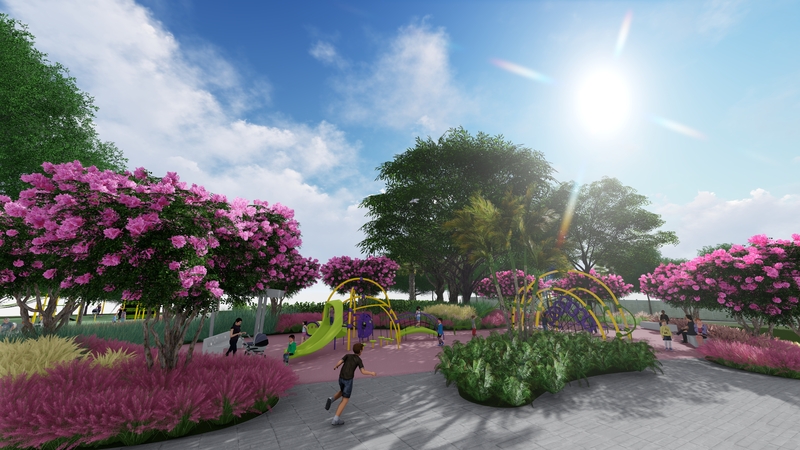 The City has accomplished amazing park renovations through their G.O. bond and we are proud to be part of their efforts. 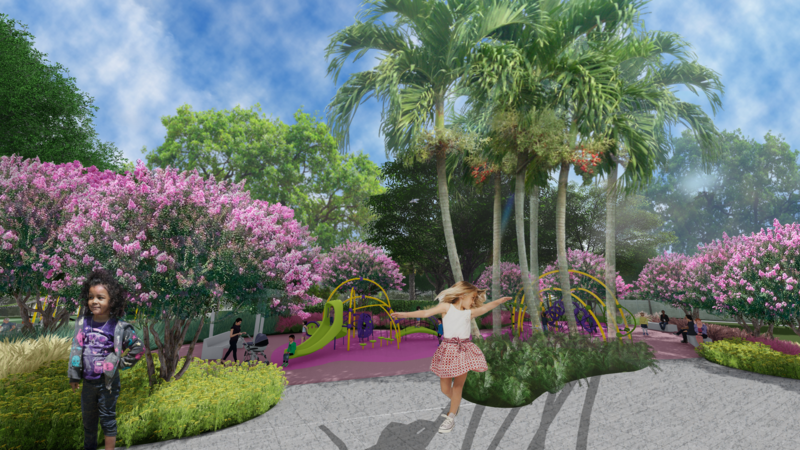 We are happy to announce that our City of Miami Beach Community Park project has received an Award of Honor from the FLASLA! 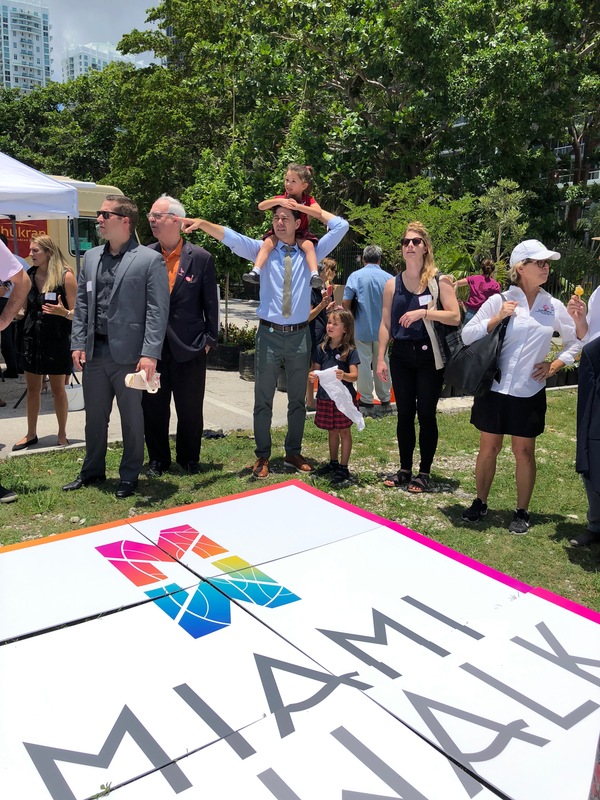 Our final public outreach for our Miami Walk project launched the brand and created a pop-up parklet for people to enjoy discounted food, free popsicles and waterfront views. 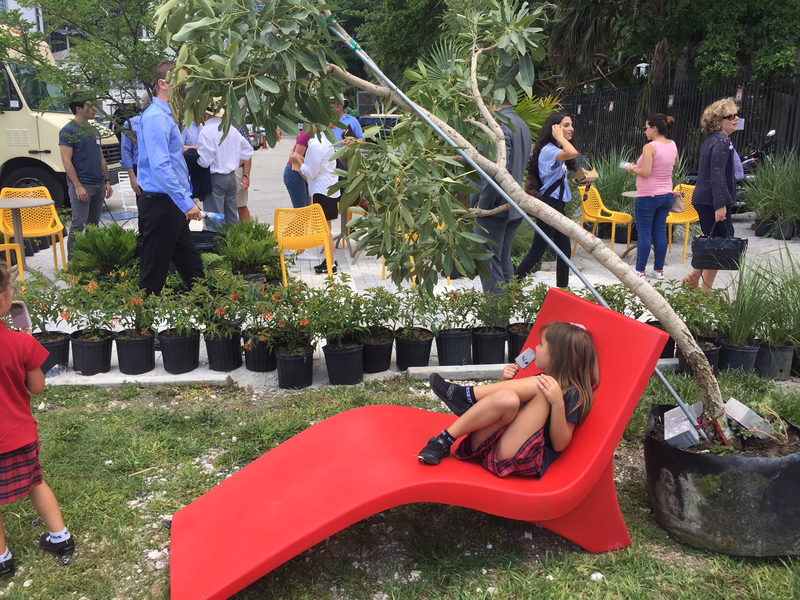 Grateful to our amazing team of consultants, RSM Design, HLB Lighting and Coastal Systems International, as well as everyone who helped build and activate the parklet: Ladyfingrs, Cortada Landscape Design, The Sandman, Oldcastle, Dixie Landscape, KM Associates Inc, Landscape Forms and Gustavo Matamoros. 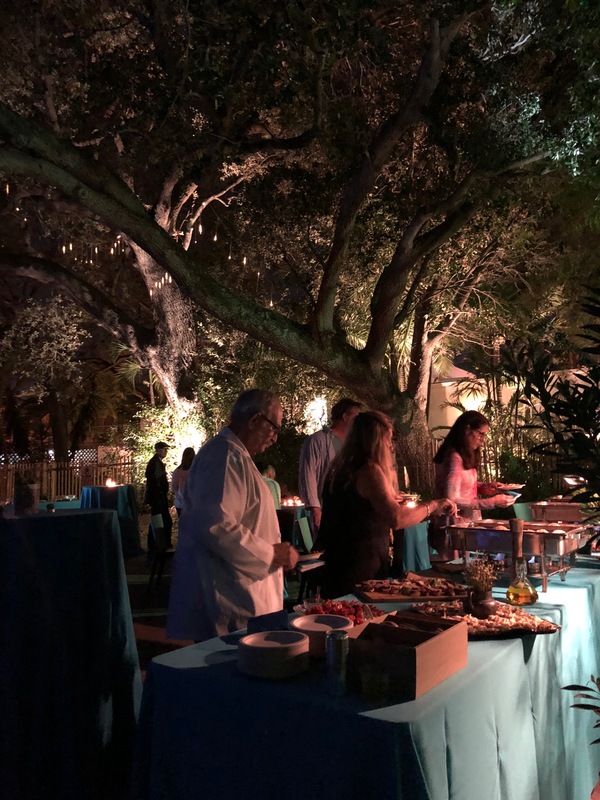 Click photos for video recap of the event! We are proud to announce that out of 188 submissions, our design was selected for the first round of finalists among 12 others. 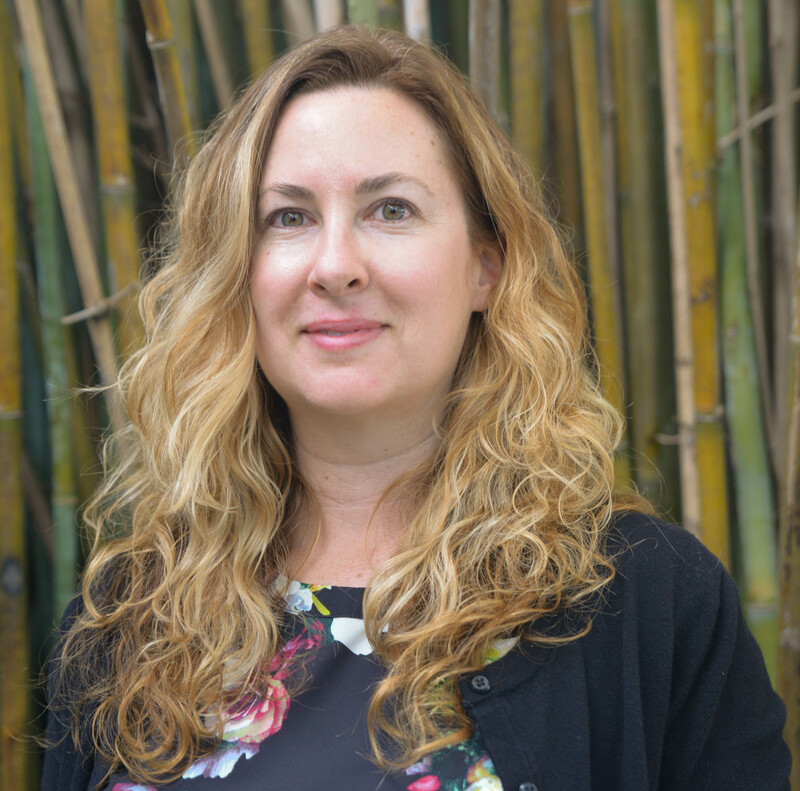 We are happy to announce that Kelly Hitzing has joined our firm as a Project Manager. 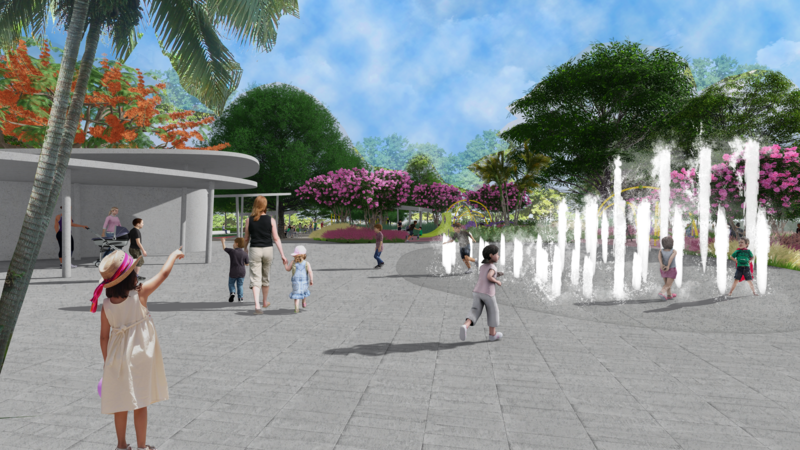 She is a registered Landscape Architect with a wealth of experience in the field. Welcome to the family Kelly! 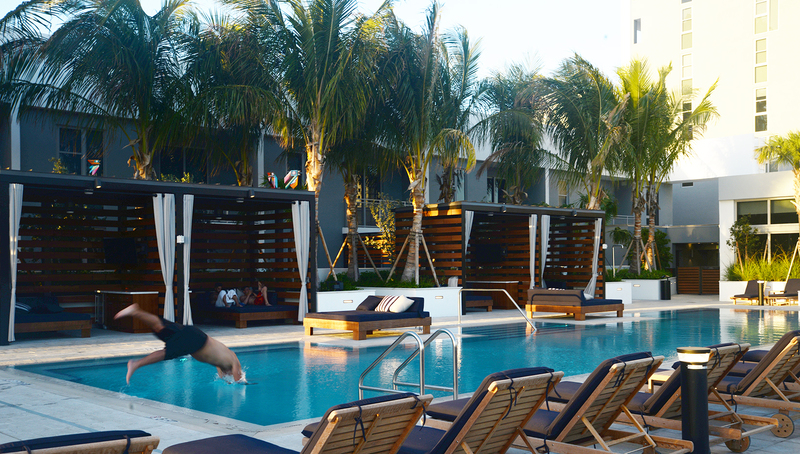 Savino & Miller Design Studio’s Principal, Barry Miller, was selected to be a member on the Bal Harbour Architectural Review Board. 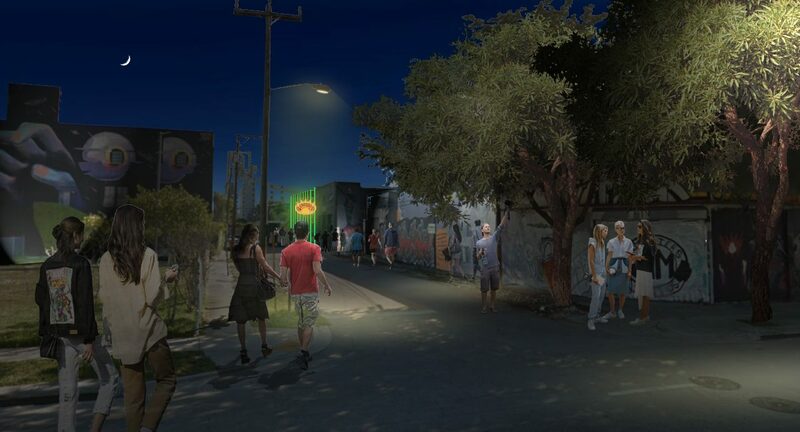 Savino & Miller Design Studio participated in a competitive RFP process to be the landscape architect for a new brewery coming to Wynwood. 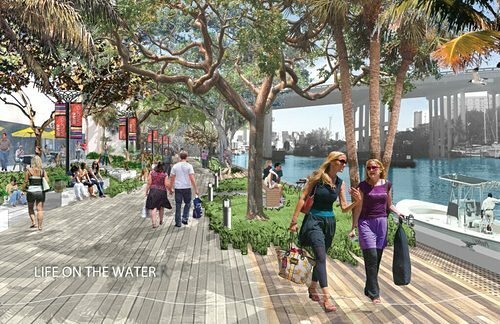 Savino & Miller Design Studio and RSM Design will be partnering up to brand and design Miami’s Baywalk-Riverwalk. 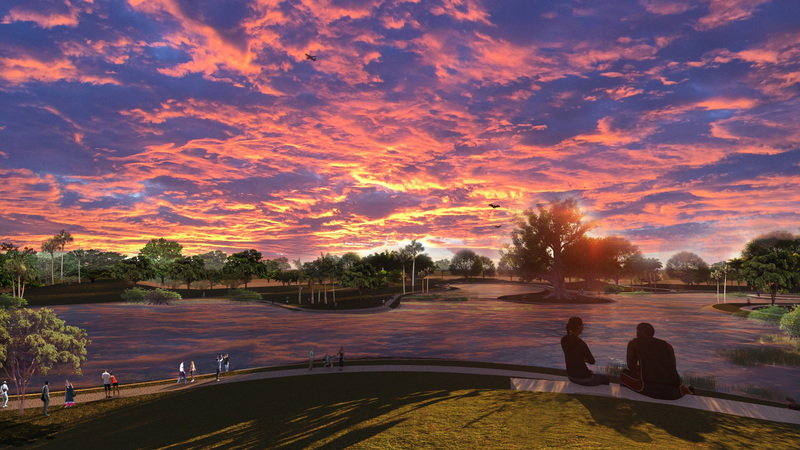 They participated in a competitive RFP process where the Downtown Development Authority’s selection committee considered 11 other highly qualified firms. 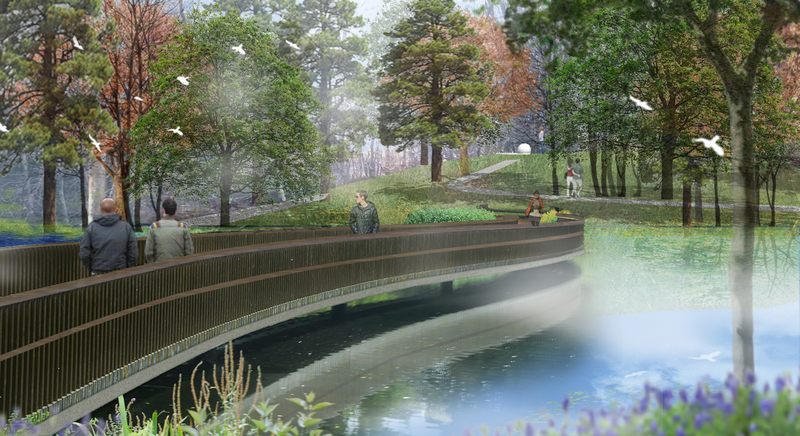 In the end, Savino & Miller Design Studio and RSM Design were ranked #1. 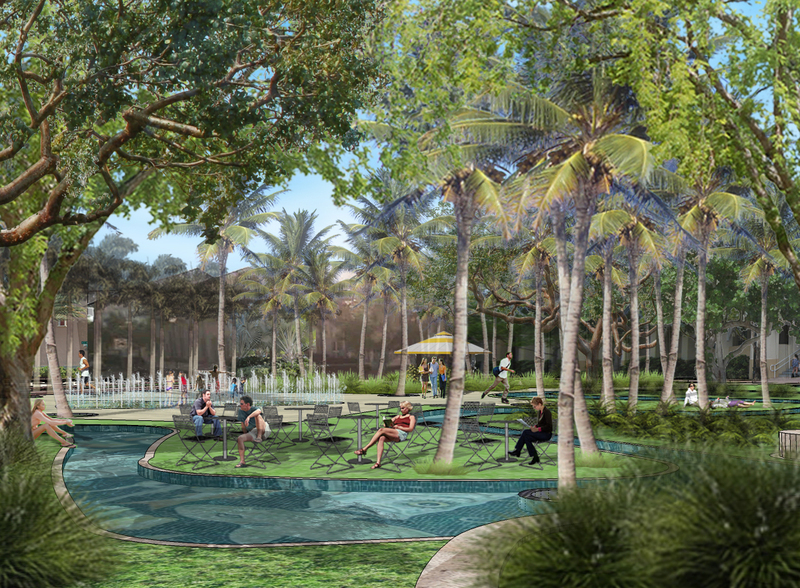 We are excited to announce that our unbuilt Key Biscayne projects, Civic Center Park and Matheson Plantation Village have received Awards of Honor from the FLASLA! 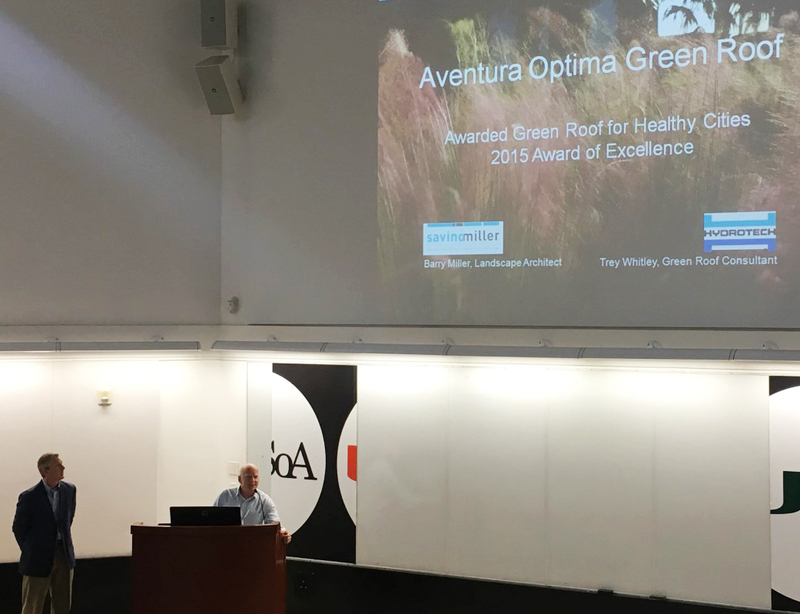 On December 16th, Barry Miller, Principal of Savino & Miller Design Studio, presented his studio’s Green Roof project Aventura Optima at the Miami Green Roof & Wall Symposium hosted by Green Roofs for Healthy Cities (GRHC). Trey Whitley of American Hydrotech presented alongside Barry to add insight on his company’s waterproofing technology used for the project. 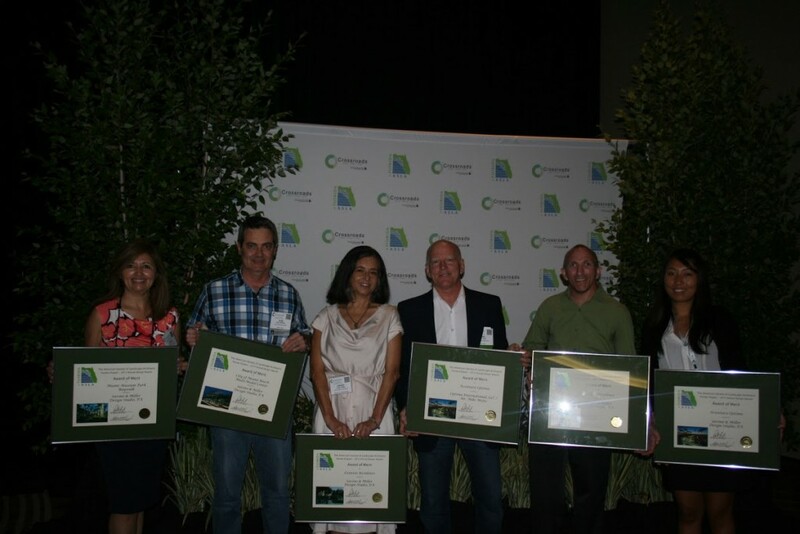 In 2015, Aventura Optima received GRHC’s Award of Excellence. 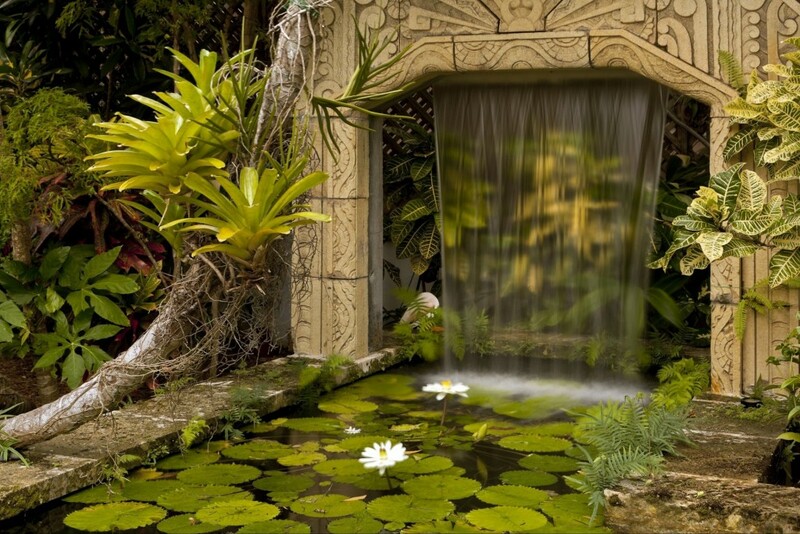 The Villagers Inc.’s Gardens of Miami book received the 2016 Florida Landscape Architects Publication Award, an award of honor bestowed upon by the by the Florida ASLA. 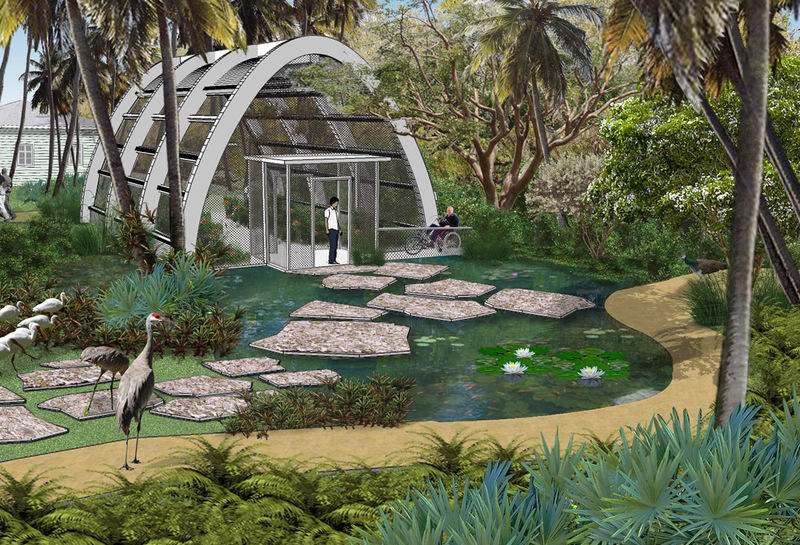 Two of Savino & Miller Design Studio projects were selected to be featured: Cisneros Residence and Sanchez Garden. We congratulate the Villagers and are proud to have been included! 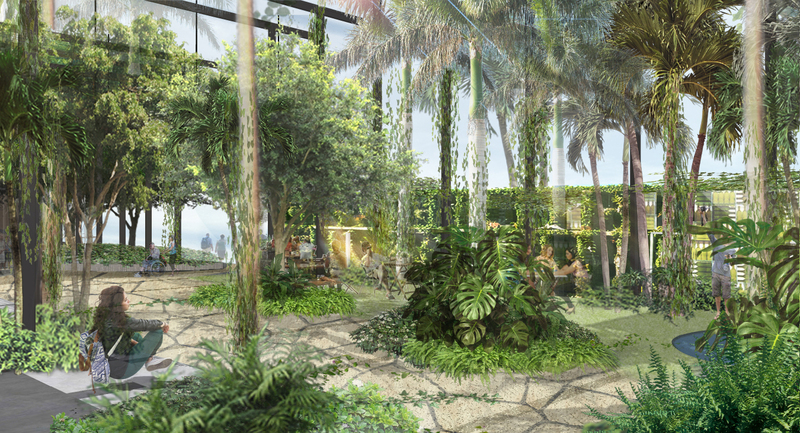 At 8:00 PM on May 16, 2016, Books & Books will be hosting an event showcasing the Gardens of Miami book, presented by The Villagers Inc. Two of Savino & Miller Design Studio projects were selected to be featured: Cisneros Residence and Sanchez Garden. All proceeds from book sales will support The Villagers’ mission of saving historic places through restoration and preservation. 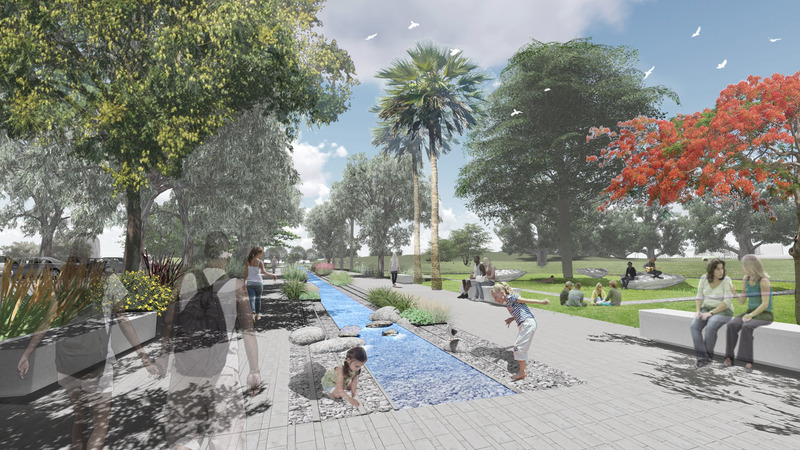 Barry Miller, Principal at Savino & Miller Design Studio, was selected as a juror for the Florida Chapter of the American Society of Landscape Architects 2016 Design Awards Program. 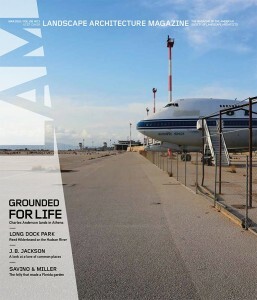 The program encourages the advancement, expansion, and recognition of the Landscape Architecture profession. 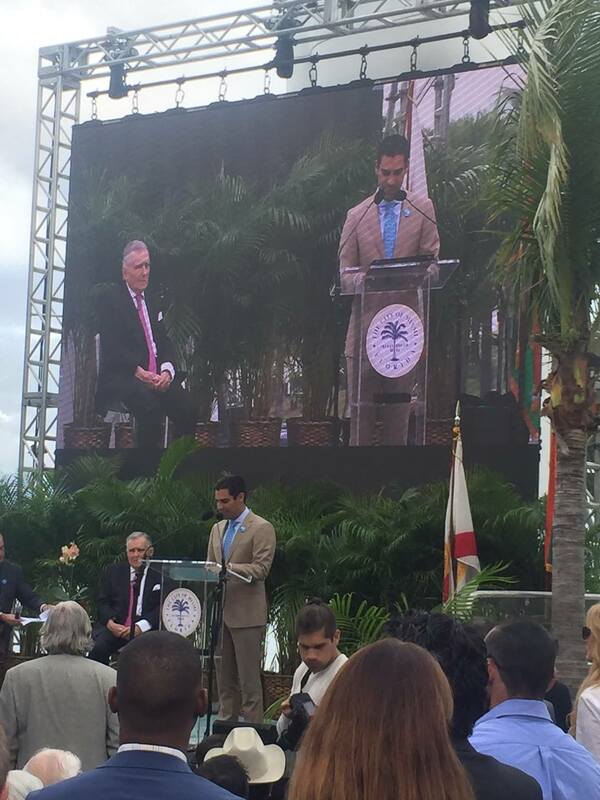 Savino & Miller Design Studio is a proud sponsor of Miami Dade County’s 2016 Great Park Summit. 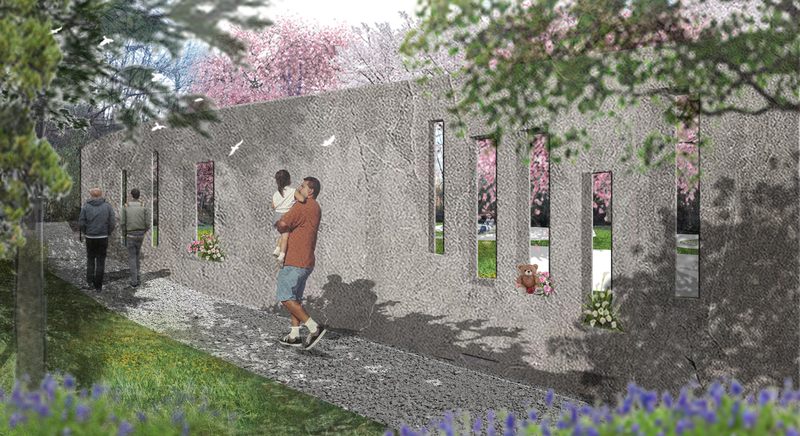 Louver House, developed by Mast Capital, unveils its commission to internationally-acclaimed artist, Michele Oka Doner, which will be featured in Savino & Miller Design Studio-designed sunken gardens at Louver House in Miami Beach by Rene Gonzalez Architect. 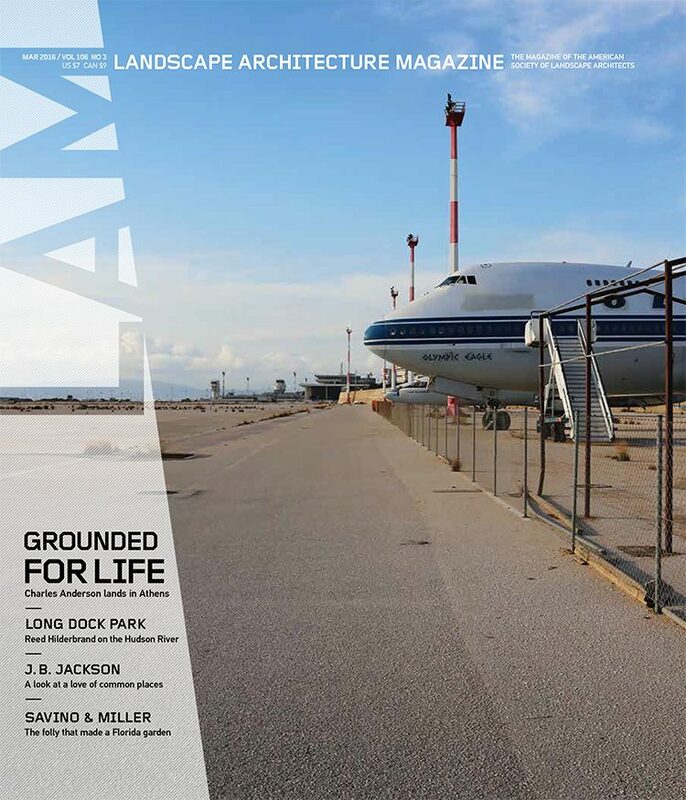 Landscape Architecture Magazine features Savino & Miller Design Studio’s Sanchez Garden in the March 2016 issue. See us on pages 19, 70-80! 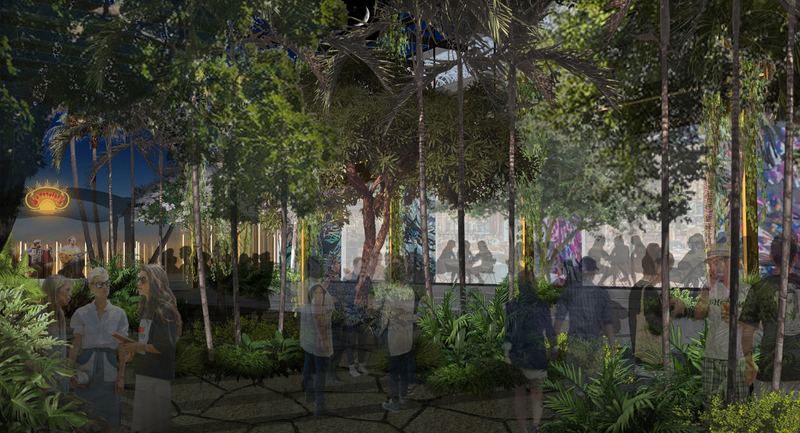 On January 21st, Principal Adriana Savino-Miller will present as a panelist at the Urban Land Institute event, “ULI Explores Miami’s Evolution through Art, Architecture and Culture,” along with Chad Oppenheim from Oppenheim Architecture, Claudia Busch from Berenblum Busch Architecture, and Margi Nothard from Glavovic Studio, moderated by Cheryl Jacobs from AIA Miami. 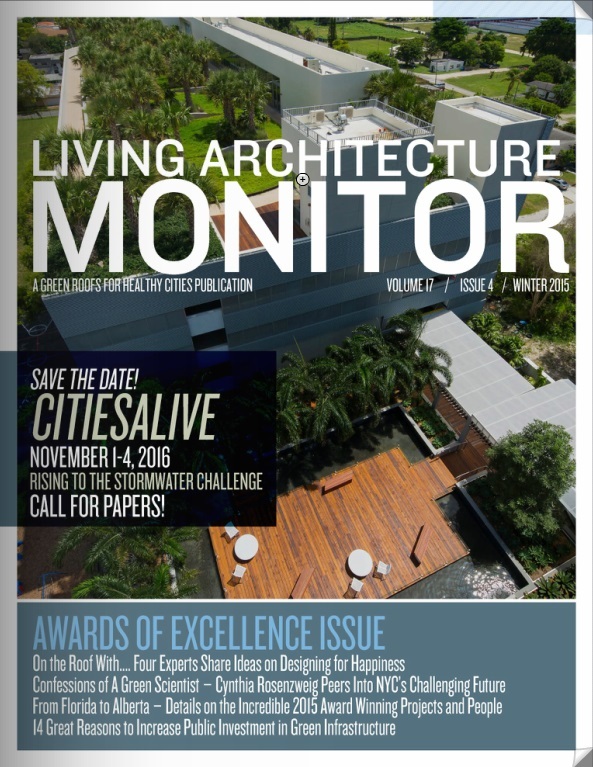 In the Winter 2015 issue of Living Architecture Monitor, Savino & Miller Design Studio’s project, Aventura Optima, was honored as the magazine’s cover, along with an article featuring the project as the recipient of the 2015 Green Roof & Wall Award of Excellence for Design in the Intensive Industrial/Commercial Category. Our office will be closed from December 23rd to January 4th. 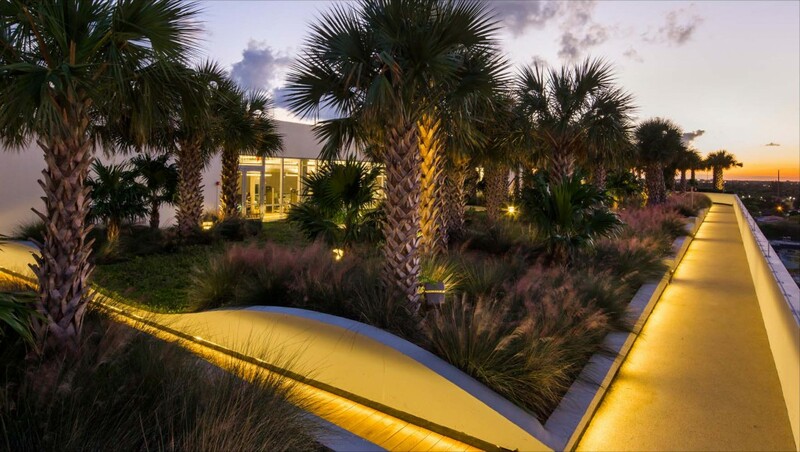 Savino & Miller Design Studio is thrilled to announce that our Aventura Optima Plaza project was nationally recognized by Green Roofs for Healthy Cities with a 2015 Green Roof & Wall Design Award of Excellence in the Intensive Industrial/Commercial Category. 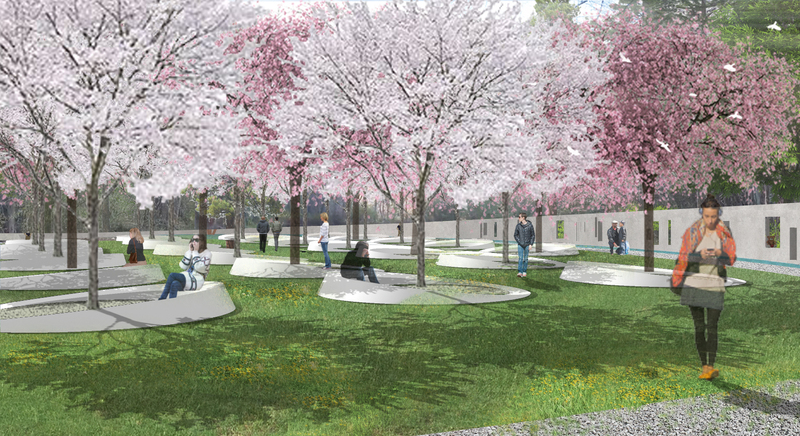 The project was praised by judges for its form, materiality, accessible layout, and plant density, as well as its consideration of sustainable plantings and installation material. It also received high marks for incorporating and promoting a healthy work life balance in the design. 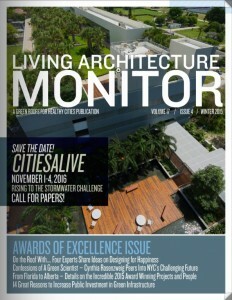 The firm will be awarded at the CitiesAlive Green Roof & Wall Conference in Brooklyn, New York. 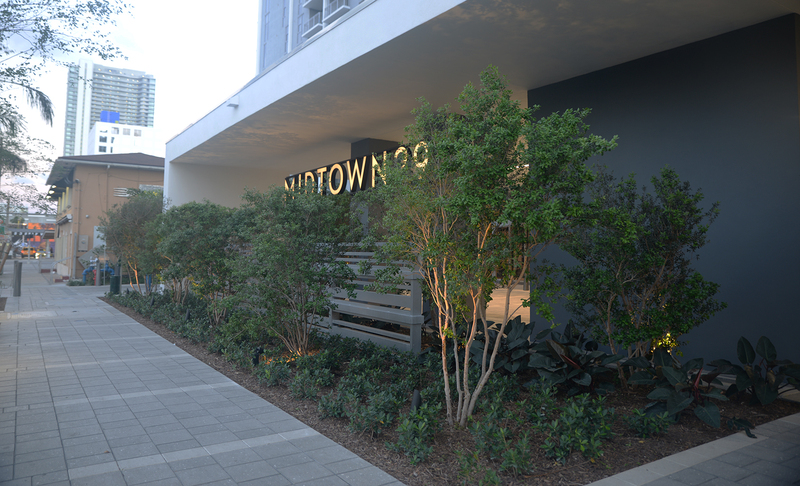 Sales Center for Aventura Park Square is now open. 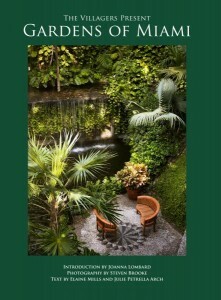 Landscape Architecture by Savino & Miller Design Studio. 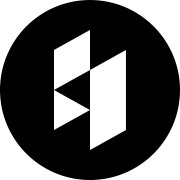 Savino & Miller Design Studio is pleased to officially announce the launch of our new website on August 25, 2015. 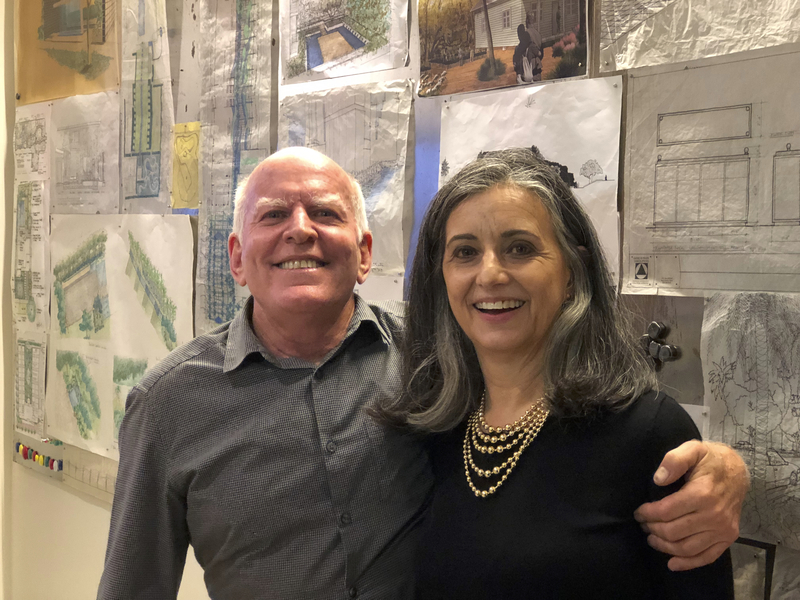 With improved structure and navigation, Savino & Miller’s website offers an informational look into the work of our firm and is designed for current and prospective clients, designers, architects, collaborators, and friends. Our goal with this new website is to provide a straightforward system for visitors to gain further insight into Savino & Miller’s projects, services, and culture. We would like to thank our web developers, Till Bergs and Ivan Toth Depena, as well as our wonderful staff at Savino & Miller Design Studio, for their time and energy to design and develop our new website. 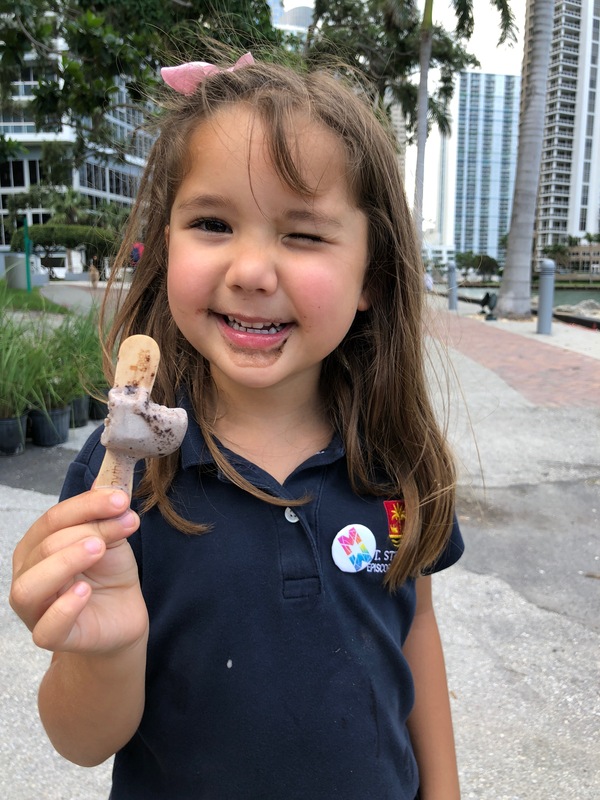 Principal of Savino & Miller Design Studio, Barry Miller, volunteered at the TREEmendous event to plant trees at Virginia Key Beach Park, planting native trees and shrubs in the dune and hammock areas. 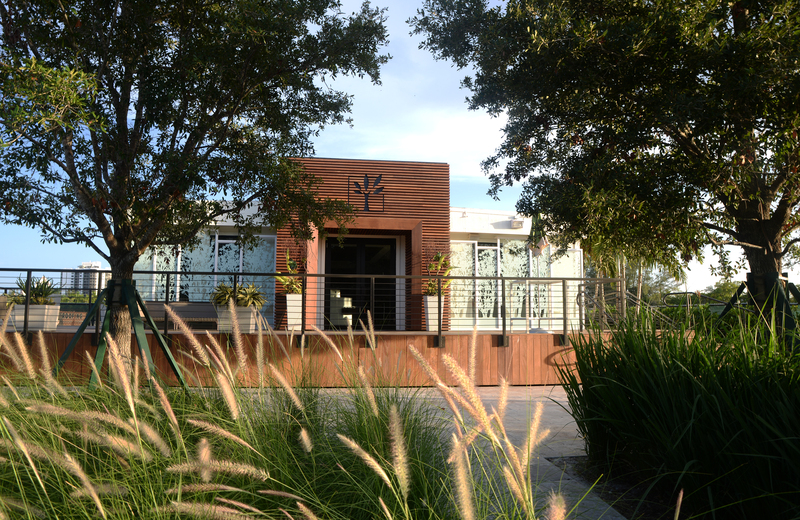 Savino & Miller Design Studio is honored with five Awards of Merit from the Florida Chapter of ASLA, the highest number of awards for a Florida firm in 2015. 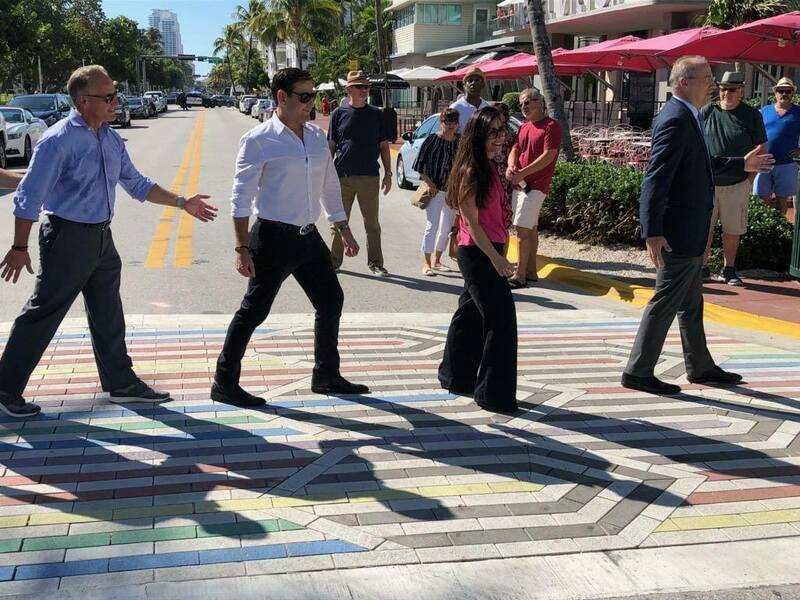 The following projects were recognized: Museum Park Baywalk Miami, Sanchez Residence, Cisneros Residence, Aventura Optima, and Miami Beach Multi-Modal Center. 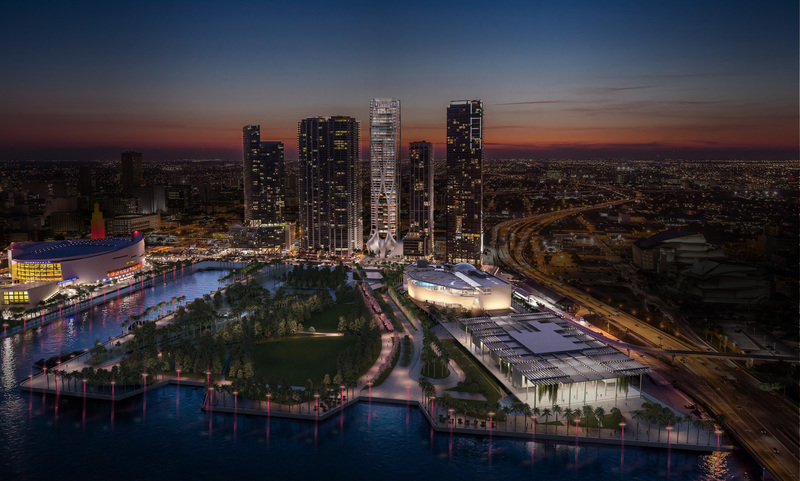 Curbed Miami shares the good news about Savino & Miller Design Studio’s park project at Miami’s River Landing. 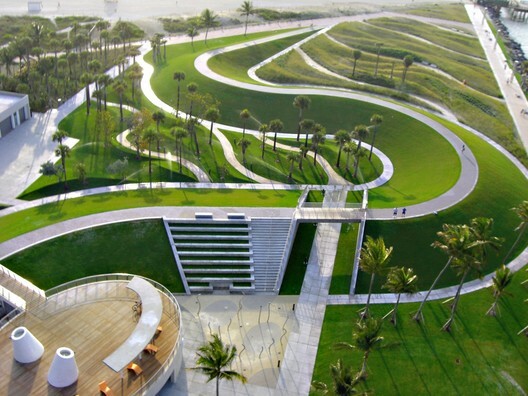 On July 30th, Barry Miller will be presenting “Designing and Space Shaping – Museum Park and the Baywalk Promenade” based on the Museum Park Baywalk project at the FLASLA Conference. 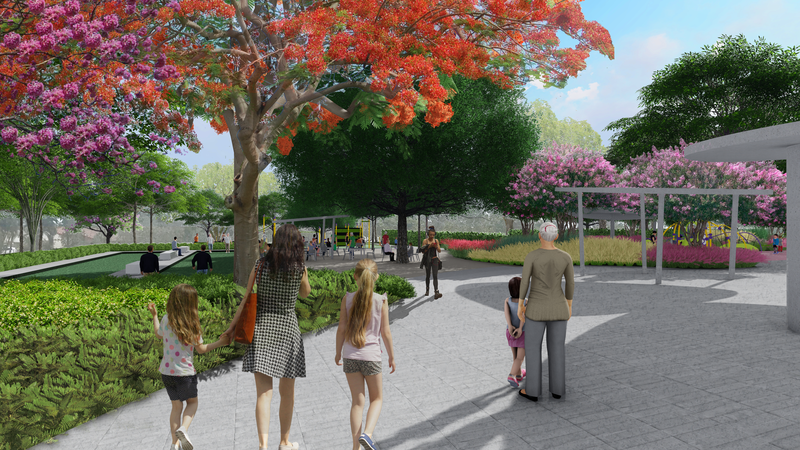 This course, based on a project to be built in phases for the City of Miami, delves into the historical background of the site and how Museum Park was created. 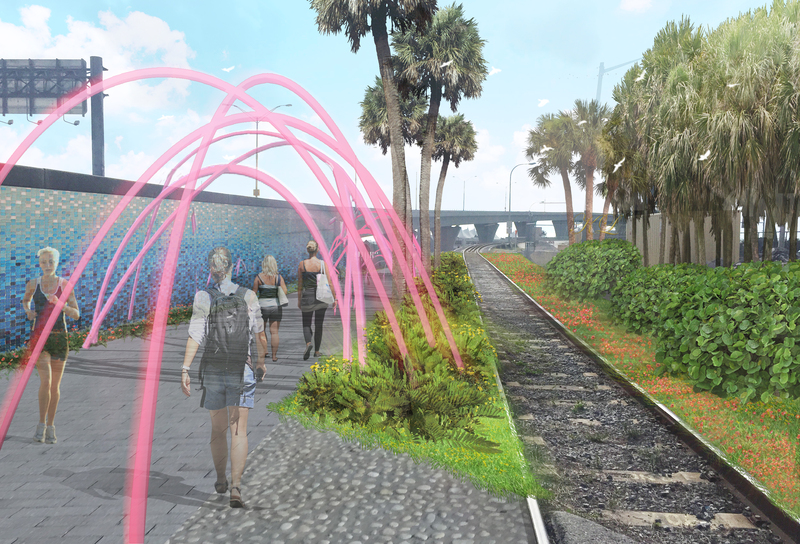 He will discuss the process of designing a large waterfront park that would restore linkage between the City’s downtown and its bayfront as well as a park that is home to two, world-class museums, the Perez Art Museum Miami and the Patricia and Phillip Frost Museum of Science. 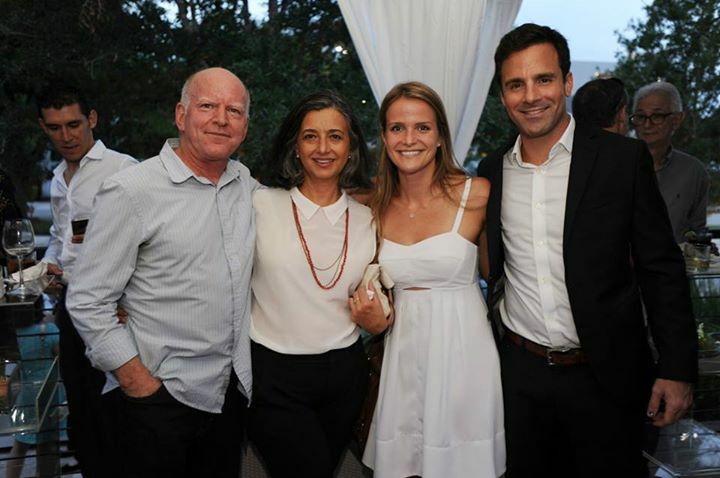 Principals, Barry Miller & Adriana Savino, attend the launch party for Aventura ParkSquare. 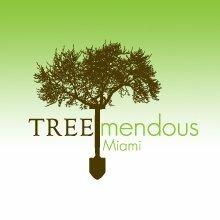 TREEmendous Miami is a group of dedicated citizens making Miami-Dade a greener, cooler, healthier and more enjoyable environment in which to live. 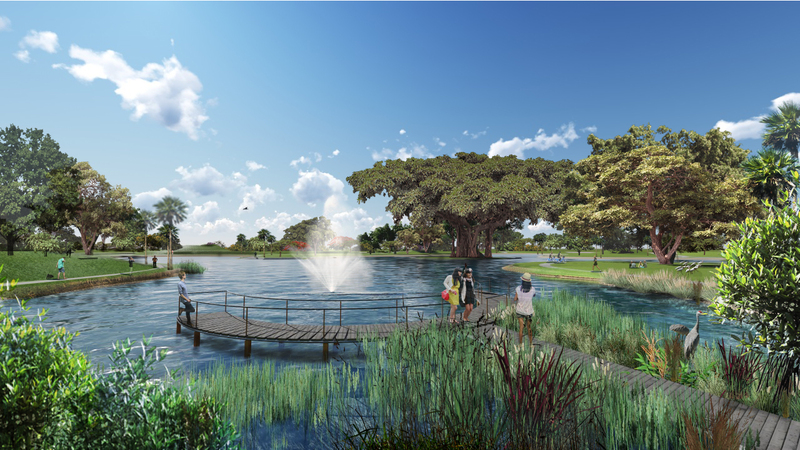 Hargreaves & Associates, Savino & Miller Design Studio and William Lane Architects, the design team for South Pointe Park, were featured in ArchDaily.